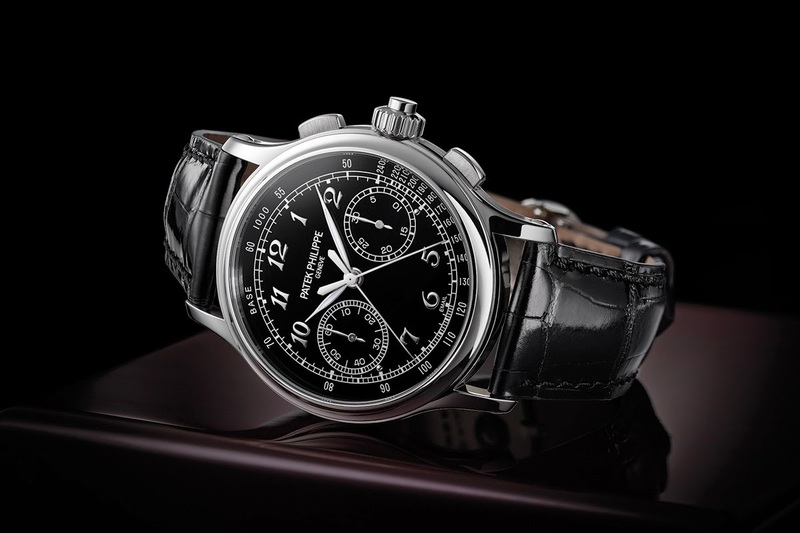 Among all the novelties presented by Patek Philippe at Baselworld 2015, our pick is the Split-Seconds Chronograph Ref. 5370. A mechanism that measures intermediate times while continuing to time an ongoing interval, the split-seconds chronograph is one of the most sought-after complication by top collectors. 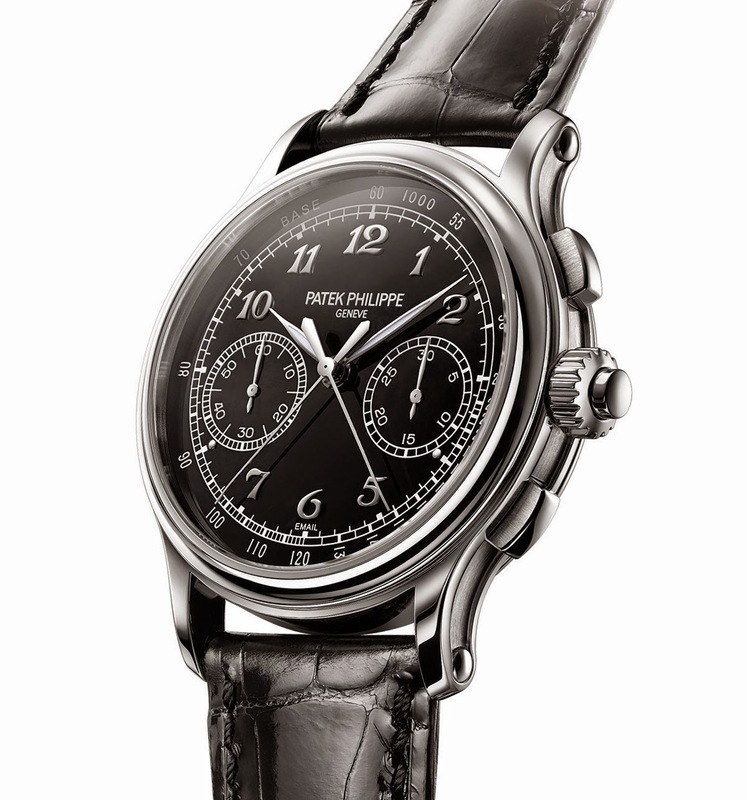 And a Patek Philippe split-seconds chronograph is even more alluring. The case, made of 950 platinum, measures 41 mm x 13.56 mm and features interchangeable sapphire crystal and solid platinum backs. 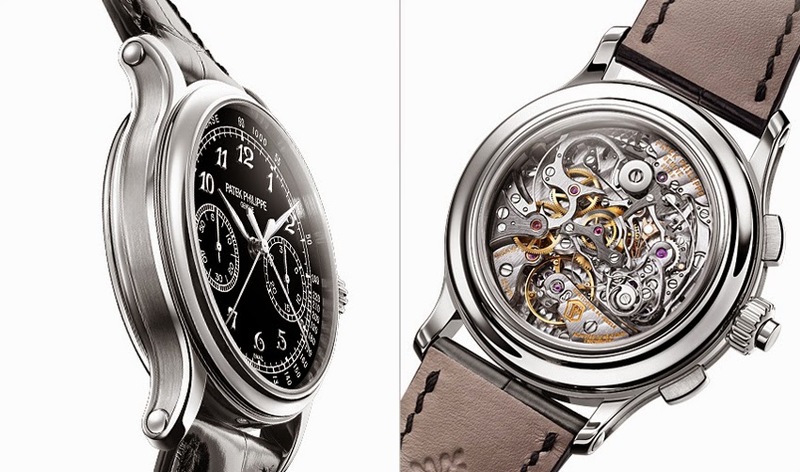 The two pushers at 2 and 4 o'clock control the basic chronograph functions while the pusher in the crown starts and stops the split-seconds hand. As is customary for all of the manufacture’s platinum cases, a flawless Top Wesselton diamond is set in the caseband at 6 o’clock. The strap lugs feature reworked flanks that merge with the case in a gentle curvature. Additionally, the lugs do not merely taper out at the position of the strap bars but instead are terminated with fine cambered white-gold cabochons. The deep black enamel dial makes the white gold applied Breguet numerals and leaf hands stand out beautifully. Legibility is perfect, with the hands treated with luminescent material. The 30-minute chronograph counter and the small seconds sub-dial are symmetrically positioned at 3 o'clock and 9 o'clock respectively. The french word "email" printed on the dial at 6 o'clock remarks the preciousness of this craft. The new Ref. 5370 marks the debut of the CHR 29-535 PS calibre in its purest form, without the added complication of a perpetual calendar. While celebrating tradition with its architecture, manual winding, two column wheels and horizontal clutch, the movement is innovative introducing several patented optimisations to reduce wear and need for maintenance. Beating at 28,800 vibrations per hour, the movement offers between 55 and 65 hours (when the chronograph is disengaged) of power reserve. 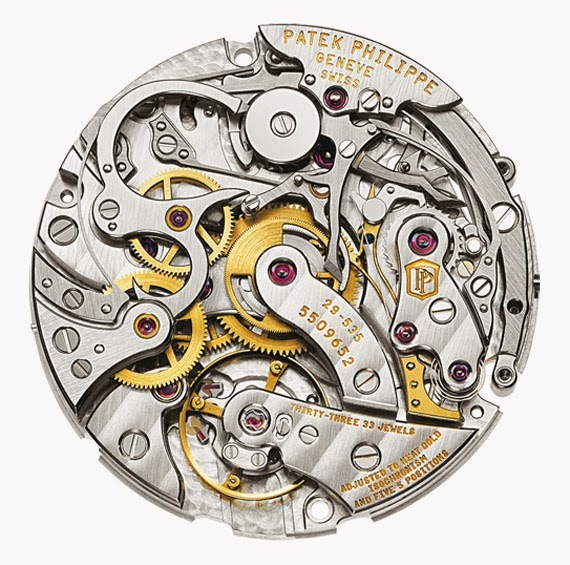 Finishes are outstanding as certified by the Patek Philippe Seal. Near perfection. To be perfect it just needed to be 38mm. But it is a thumb up. 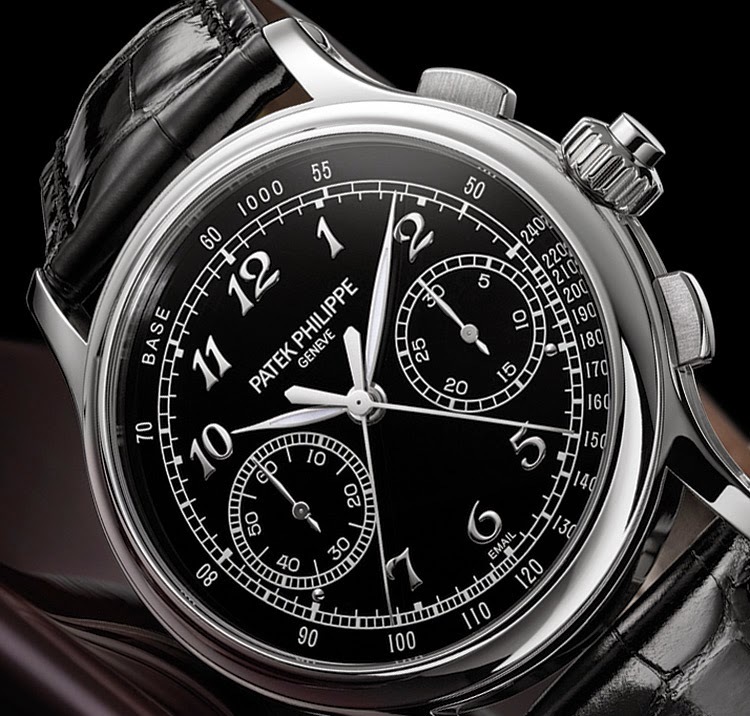 Basel 2015/ Patek Philippe Split-Seconds Chronograph Ref. 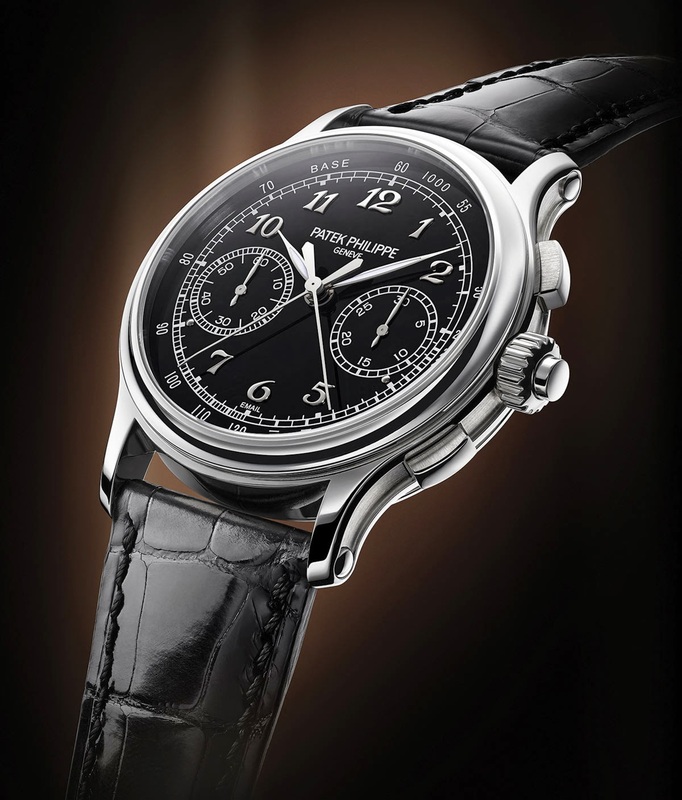 5370; Among all the novelties presented by Patek Philippe at Baselworld 2015, our pick is the Split-Seconds Chronograph Ref. 5370. 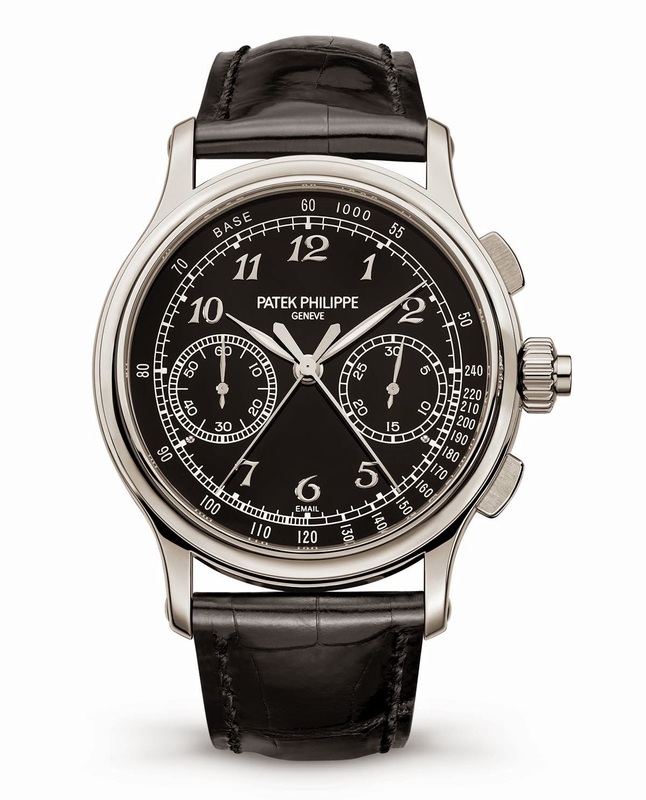 The retail price of the Patek Philippe Split-Seconds Chronograph Ref. 5370 is expected to be around US$ 250,000.